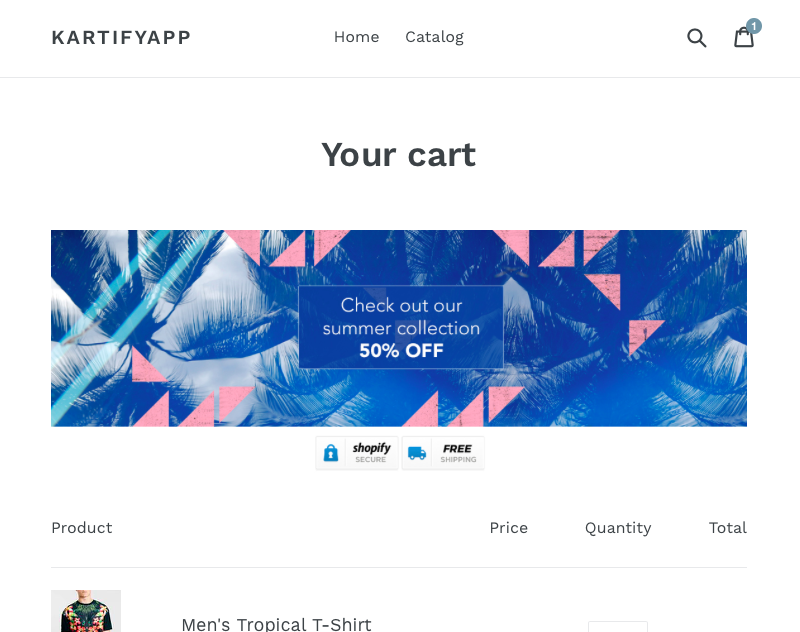 Unleash the power of Kartify on your Store. The most powerful feature of Kartify is the ability to display products you wish to boost sales with in the cart. 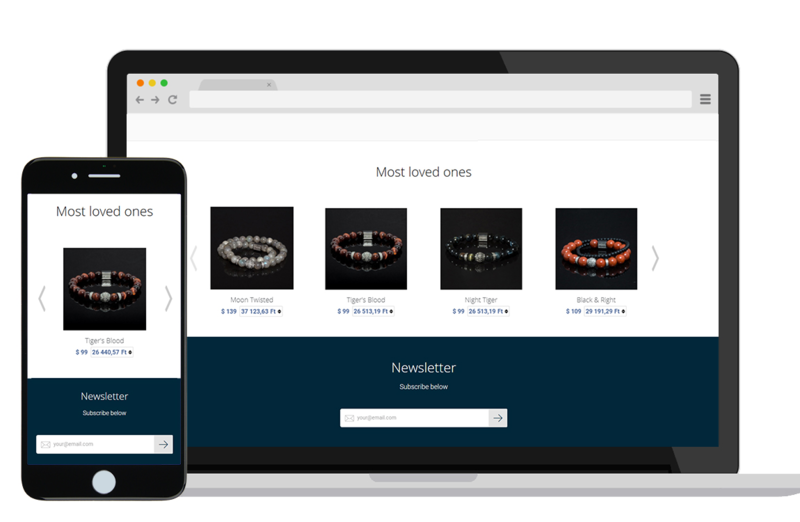 This is a brilliant way to increase your Average Order Value and sell more of your bestsellers. 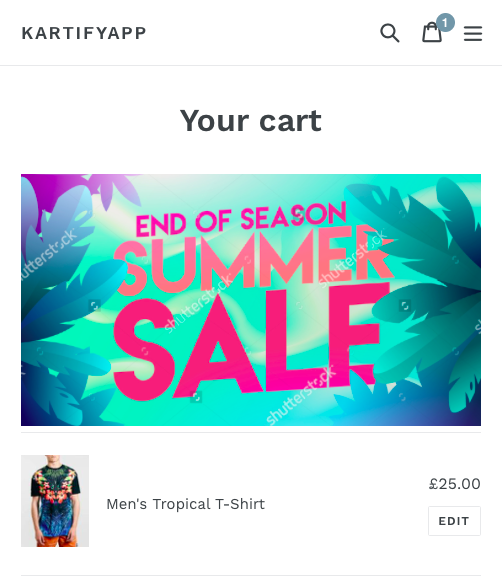 One of the most powerful features of Kartify is the ability to upload a banner of your choice and show it in the cart. Your banner could be a lifestyle image to improve the look of your store, a free shipping banner, a promotional offer or anything you like! As well as adding a custom banner, you can choose to display a message using the WYSIWYG editor. The custom message has many options and possibilities. You could add another banner, display a promo code, mention a shipping offer, add an announcement etc. 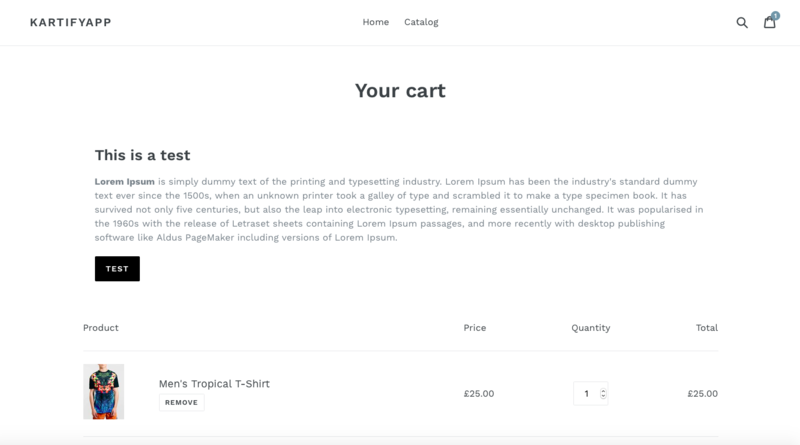 Displaying a trust badge or security icon on your cart page can improve your sales. Customers like to be reassured they are in safe hands. If they have never purchased from you before, showing a trust/secure badge can give them the confidence they need to checkout on your Shopify store. The flexibility of Kartify allows you to customise your cart with millions of possibilities.